Susann McDonald is recognized as one of the world’s leading harpists and pedagogues. She has served as the Artistic Director of the USA International Harp Competition and the Honorary President of the Association Internationale des Harpistes et Amis de la Harpe. Susann McDonald taught at the University of Arizona, the University of Southern California and at California State University at Los Angeles. She served as chairman of the Harp Department at the Julliard School for ten years. In 1981 she was appointed Chair of harp department in the world. In 1989 she was awarded the title of Distinguished Professor of Music at Indiana University. Her numerous recordings encompass much of the major harp literature. In addition she has composed and written many original publications for harp which have become part of the standard repertoire. She has taught master classes at leading conservatoires throughout the world including Paris, Copenhagen, Beijing, Brazil, Verona, Granada, Switzerland, Moscow, and numerous others. 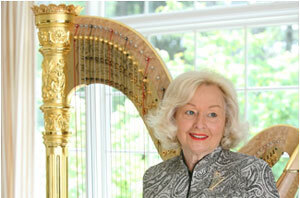 Miss McDonald has also served as a member of the jury of most international harp competitions. Her students are consistently among the top prize-winners in national and international Harp competitions. Many now hold prestigious positions with such orchestras as the Chicago Symphony, the New York Philharmonic, The Metropolitan Opera, the Philadelphia Orchestra, the Orchestra Nationale de France, The Berlin Philharmonic, the Detroit Symphony, the Minneapolis Orchestra, the Pittsburgh Symphony, Orquestra Nationale de Mexico, and the Los Angeles Philharmonic. Other former students have become major teachers and concert harpists around the world. Susann McDonald was a pupil of Henriette Renie and Lily Laskine at the famed Paris Conservatory where she was the first American artist to win the coveted Premier Prix. She has performed throughout the world and is a frequent guest artist on the Joy of Music television series. It has been said that she is truly raising a whole new generation of harpists who come to her to experience the inspiration that she exemplifies and the love of the harp which she shares so generously.